Presenting is a technique that can be improved through presentation skills training. 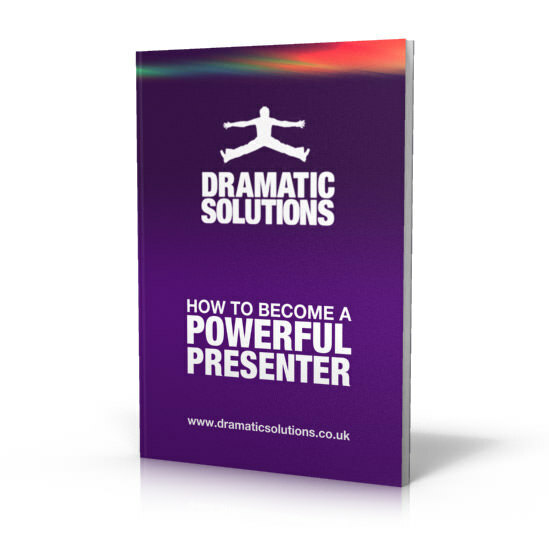 Whether you need to improve your technique for presenting to an audience of ten or a thousand people these tips that top presenters use are guaranteed to help you improve! Get emotional – great speakers use the emotions of their audience to motivate them to listen and act. Start with a bang. They grab the attention of the audience in the first 30 seconds of their presentations. Use the rule of 3. 3 is a magic number for getting people to remember things so they break their presentations into 3 sections and have 3 points to support each major point. Rehearse – no great speaker “wings it”. Mark Twain said it took him 3 weeks tomprepare an impromptu speech. Never rush. Great speakers know it’s more powerful to say a few things slowly than to say a lot of things fast. Repeat yourself. Repetition makes key messages lodge in the brains of the audience – Remember Martin Luther King Jnr’s I have a dream speech? Talk with your hands. Using hand gestures helps us to understand what’s being said. Play with words. Using work patterns, rhymes and alliteration helps a message stick. Make sense of big numbers by using commonly understood comparisons. Like, if all the people in the world who don’t have clean water and sanitation were in one country it would be the 3rd most populated country in the world. Finish with a call to action. Great speakers never let their speeches peter out at the end. They finish with a strong statement which is often a call to action – telling the audience what they should do. 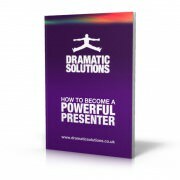 Dramatic Solutions are experts in using actors to help your staff improve their presentation skills. Offering training courses on leadership and management too we can help give you dramatic results!